From amazing life-sized Lego structures and spooky Halloween Lego mansions to Lego household goods and Lego sets that inspire girls to build; we love Lego here at Inhabitots. What we don’t love however, is that LEGO products are not sustainably designed or manufactured. The company rarely makes recycled bricks, they use a plethora of plastic packaging and they don’t even print their instructions on recycled paper. Bummer. You could opt for a wooden Lego alternative, but it’s not really the same — and there are only so many recycled crafts that Legos are good for. So what’s a Lego loving family to do? You could try Pleygo! 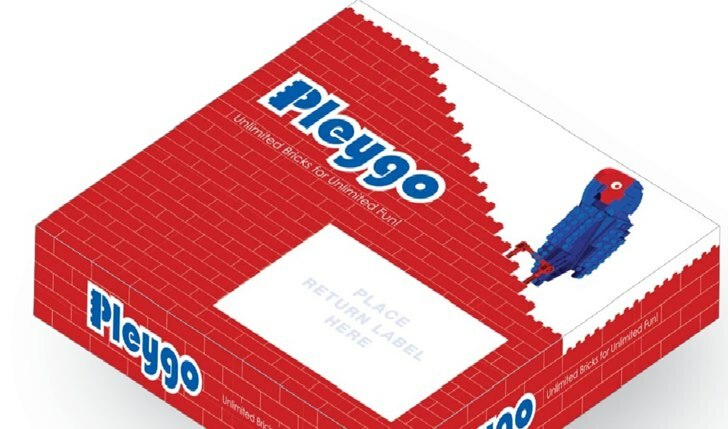 Pleygo is a new and innovative Lego rental service (think Netflix for bricks) founded by A-List Mom publisher, Elina Furman. With Pleygo, green families can feel a little better about all that plastic because this service allows you to rent and/or trade Lego sets rather than purchasing new ones. Keep reading to learn about all the benefits of Pleygo, and see how this Lego swap service works. Kids (and parents) get the opportunity to try out and play with lots of different Lego sets. There’s no limit to the amount of sets you can try out. Pleygo is an easy and low-cost service to join and utilize. You can sign up for services with one of two plans: in the pay-per-set plan, you only pay $9.99 for sets shipped and you get four weeks of play time. The second plan is a better deal for Lego addicts because for $14.99/month you get one set at a time BUT unlimited sets per month and unlimited playtime, not to mention the option to return a set anytime you wish. The second plan also comes with a bonus monthly 150 upgrade points; and that’s a good thing, because Pleygo points help you earn bigger and better Lego sets. All members start with 7500 Pleygo points. After you register at Pleygo, you can search through Lego sets. Once you choose the one your child wants, it will arrive by mail to your door. Each Plegyo set is guaranteed to come completely ready to play with, including all of the pieces and full building instructions. Plus, every set is cleaned and sanitized between uses with eco-friendly and kid-friendly cleaners that use ultrasonic technology to enable microscopic bobbles to clean inside the bricks and its studs (the round bumps). Pleygo’s cleaning process ensures that 99.99% of residuals, germs and bacteria have been killed and removed from the bricks. Once your child has expired the fun factor of a particular Lego set, simply send it back in a pre-paid envelope and start the process all over again! My son loves this service and has ordered several sets already. When it's time for his new set to come he waits by the door for the delivery to arrive. He gets the newest coolest sets from Pleygo and just returns it when he's done. We love it. From amazing life-sized Lego structures and spooky Halloween Lego mansions to Lego household goods and Lego sets that inspire girls to build; we love Lego here at Inhabitots. What we don't love however, is that LEGO products are not sustainably designed or manufactured. The company rarely makes recycled bricks, they use a plethora of plastic packaging and they don't even print their instructions on recycled paper. Bummer. You could opt for a wooden Lego alternative, but it's not really the same -- and there are only so many recycled crafts�that Legos are good for. So what's a Lego loving family to do?